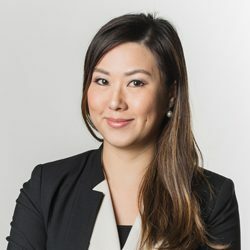 Gwendoline is a senior associate at Donovan & Ho, KL, Malaysia as of May 2017. She has considerable experience across a couple of different practice areas and jurisdictions. From 2006 to 2009, she was an associate in the corporate & commercial practice group of Wong & Partners Malaysia, a member firm of Baker & McKenzie. She represented international corporations on share / business sales and acquisitions, joint venture arrangements, commercial real estate acquisitions, and fund capitalisation. She also advised on franchising matters, capital market related queries, and employment related issues. From 2010 to early 2017, Gwendoline was in-house legal counsel at the General Counsel Division of the Financial Conduct Authority, London, United Kingdom. In this role, she advised and co-ordinated with a wide range of stakeholders including internal clients, industry representatives and other UK and EU regulators on implementing new financial services regulation in the UK. Her scope of expertise included drafting requirements and guidelines relating to markets infrastructure; and derivatives and securities trading, clearing and reporting.